Wyndham Grand İstanbul Levent Hotel. 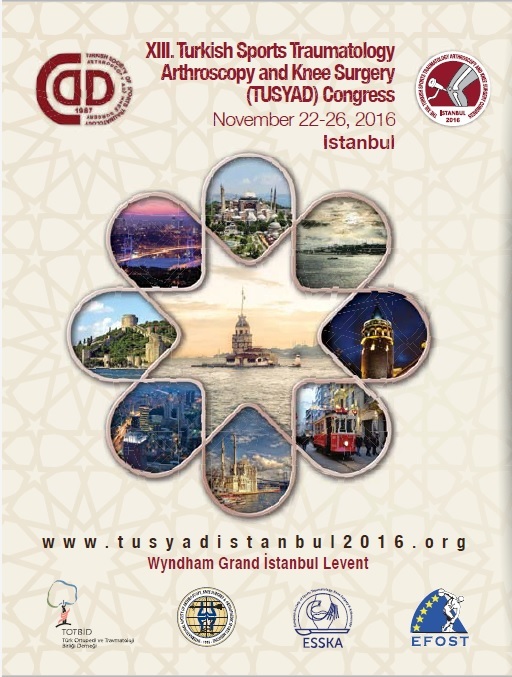 TUSYAD Congresses, the first of which was organized in 1991 in Istanbul, have always received attention and appreciation of local and international participants thanks to the high level of their scientific content, invaluable contributions of reputable national and international scientists as well as social and cultural activities. At this biennial Congress, we aim to gather our colleagues to discuss the latest professional and scientific developments, serving as a significant platform to attract the attention of almost a thousand colleagues with its rich scientific content. considerable level of attention lately. During lunch breaks, we will be organizing workshops and satellite symposiums to discuss the latest technological developments with the contribution of representatives from pharmaceutical and orthopedics industries. Besides the scientific content, we intend to provide you with a rich social program that will allow you to experience and familiarize yourselves with the cultural wealth of Istanbul with its rich heritage dating back thousands years. As the Congress Organizing Committee, we will be honored to host you in the unique atmosphere of Istanbul in November 2016. Let’s meet where the continents meet. For further detailed information and inquiries on participation please kindly contact our Professional Congress Organizator ( Mrs. Banu Uçar ) Her contact details is given below.